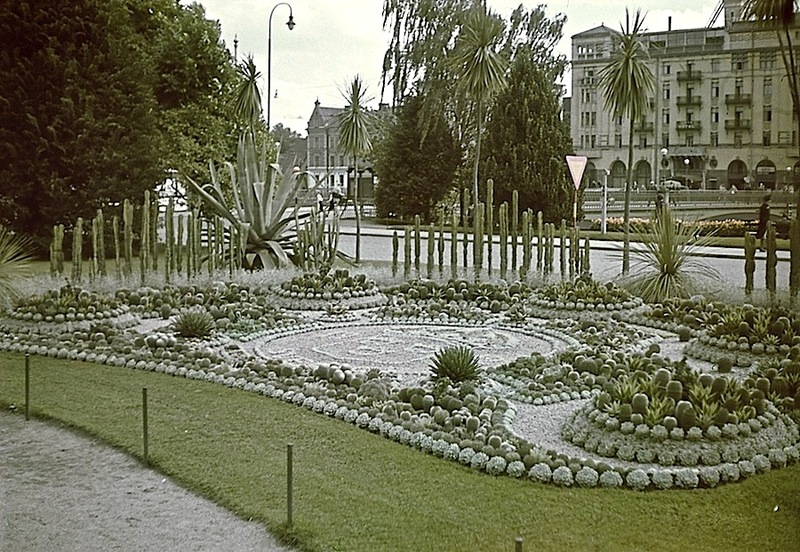 Kaktusplanteringen (cactus planting) in Karl Johan Park in Norrköping, Sweden, 1942, a color slide by Fredrik Bruno, via Swedish National Heritage Board Commons on flickr. Since 1926, there has been an annual cactus display in the park, with a different theme every year. In the photo above, the motif was the smaller version of Sweden’s national coat of arms. Next Post Life in gardens: Washington, D.C.